Protecting your investment is a responsibility we take seriously at Hayward Marine, that’s why we have a trusted and experienced technician staff here to care for your boat. Our #1 goal is to get you back on the water as soon as possible. We service all engine makes and models including Inmar, PCM, Volvo Penta, Mercruiser, OMC, Yamaha, Evinrude, Johnson, Mercury and Honda. 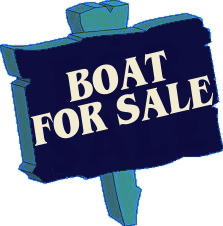 A well-maintained boat will provide years of reliable service. Hayward Marine makes it easier than ever to maintain your craft and protect your investment. We service all major manufacturers (Inmar, PCM, Volvo Penta, Mercruiser, OMC, Yamaha, Evinrude, Johnson, Mercury and Honda, just to name a few) and have or can get almost every part required to keep your boat’s mechanical systems on an even keel.